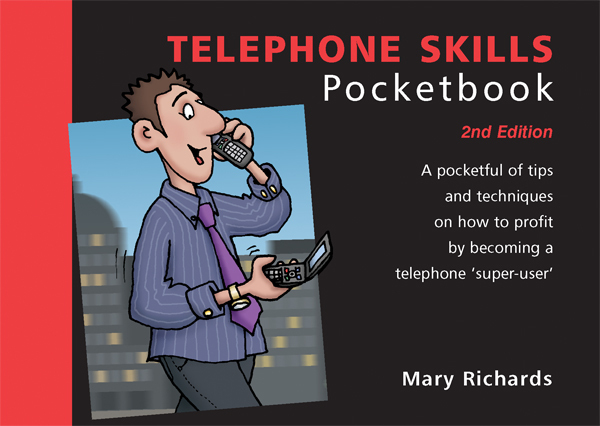 The Telephone Skills Pocketbook covers every aspect of using the telephone to improve business performance. It highlights the importance of good communications skills, the need to build rapport, favourite bad habits and how to avoid them, how to take control of a call, how to keep customers happy, and more. There are separate chapters on receiving and making calls. The former includes 10 easy ways to give your caller a bad experience and 10 easy ways to give your caller a good experience. The latter explains how to get through to people and get the information you need, as well as how to complain and negotiate on the ‘phone. In conclusion, the author sets out the rules for becoming a telephone ‘super-user’ and for fulfilling the super-user’s oath: ‘I will be in charge and make the ‘phone work for me; I will seek out time-eaters and destroy them; I will use super-user control techniques at all times’.